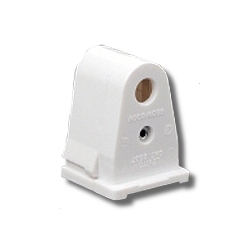 Slimline base single pin standard fluorescent lampholder. Pedestal slide-on lock-on, stationary. Quickwire 18AWG solid or Str tinned, White.